Avoid the spiraling cost and increased complexity of discovery. Consilio’s strategic advice and resources help organizations manage discovery challenges. We ease organizations’ burdens associated with discovery by helping to reduce litigation costs while giving the legal team a distinct competitive advantage in each matter. With dedicated locations globally, our team has the ability to scale quickly to handle any project in a timely, cost-effective manner. Consilio’s team has extensive experience in conducting corporate law department assessments. We work with counsel (in-house or outside) and the IT departments to conduct a comprehensive evaluation of their current discovery procedures, technologies and resource structure. We then provide recommendations towards an enhanced, efficient and cost-effective discovery process. Our proven track record includes working with the legal departments of many Fortune 500 companies. We provide both strategic advice and the resources to manage discovery challenges and obligations. Consilio’s team works with corporate law departments in providing project management services. We deliver the resources needed to assimilate electronic source-data management into the overall discovery plan with internal departments and external counsel. Our proven track record with Fortune 500 legal departments allows us to discover and implement solutions that attorneys, paralegals and IT can use to improve the level of legal services within a corporation. The Consilio team conducts comprehensive evaluations of current discovery procedures and resources. We help organizations design and build new processes, implement those processes and even provide subsequent training and support. We work alongside clients to effectively integrate proven processes and methodologies with leading technology solutions to reduce discovery costs while mitigating business risk. Dan’s professional services background spans a range of business verticals with a strong focus on technology. He has engineered custom business solutions within the litigation, financial, insurance, and retail industries concentrating on strategy, process improvement and operational management. His management and technical experience consists of enterprise software development and integration, complex data modeling and analysis, computer forensics, discovery program design, case management services, and data remediation. 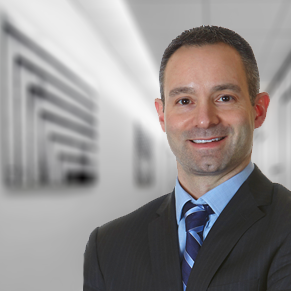 Dan specializes in litigation consulting, using technology and proven processes to improve efficiencies and reduce costs associated with discovery management. He has extensive experience designing customized end to end discovery programs and workflows that integrate the data request process with data collection and fulfillment responsibilities for several of the largest global banking and pharmaceutical corporations.